A federal appeals court sharply restricts mandatory drug testing at a Missouri technical college, an Arizona appeals court says prosecutors must actually prove impairment before convicting medical marijuana patients of DUID, the DEA seems to be a bit less busy than in years past, and more. Connecticut Senate Leader Prioritizes Marijuana Legalization Bill . Marijuana legalization is a key part of state Senate President Martin Looney's (D-New Haven) legislative agenda for the session beginning next month. He has pre-filed a legalization bill that would legalize pot and tax its sale in a manner similar to Colorado as part of a 10-bill package representing his priorities. The bill is not yet available on the legislative website. The move comes despite Gov. Dannel Malloy's (D) rejection of legalization earlier this month and could set up a veto battle if the bill actually passes. Arizona Appeals Court Rules State Must Prove Patients Were Actually Impaired By Marijuana Before Convicting Them of DUID . Medical marijuana users can't be convicted of DUID solely for having marijuana in their systems absent proof they were actually impaired, the court ruled Thursday. Arizona is a zero-tolerance DUID state, and that's a problem, the judges said. "According to evidence here, there is no scientific consensus about the concentration of THC that generally is sufficient to impair a human being,'' appellate Judge Diane Johnsen wrote. The court also clarified that it is up to the state to prove impairment, not up to the defendant to disprove it. The ruling comes just two days after another division of the appellate court blocked Maricopa County Attorney Bill Montgomery in his bid to cite federal prohibition as a reason to refuse zoning requests for dispensaries. Missouri Technical College Can't Force Student Drug Tests, Appeals Court Rules . The State Technical College of Missouri violated the Constitution by forcing incoming students to submit to a drug test, the 8th US Circuit Court of Appeals has ruled. The school instituted the policy in 2011 despite no evidence of accidents being caused by drug use and required students to take a drug test within 10 days of the start of classes. Students shortly filed a class action lawsuit, which won in district court, but was overturned by a three-judge panel of the 8th Circuit. But now, that decision has been overturned by the 8th Circuit en banc, which held that drug testing can only be required in "safety-sensitive" programs. Wisconsin Lawmaker Backs Away From Proposal to Impose High School Drug Testing . Rep. Joel Kleefisch (R-Oconomowoc) is retreating from a proposal to require school district to drug test student involved in extracurricular activities after the notion was panned by critics including Republican Gov. Scott Walker, who has no problems imposing drug testing on poor people. Now Kleefisch says he will instead ponder legislation that would require school districts to provide a way for parents to voluntarily have their children drug tested. 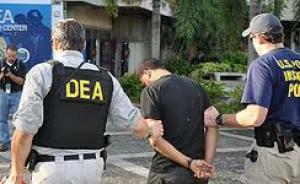 DEA Drug Convictions Continue to Drop . The Transactional Records Access Clearinghouse (TRAC) reports that convictions for drug cases referred by the DEA continue a 10-year decline. During Fiscal Year 2016, federal prosecutors won 9,553 criminal convictions on cases referred by the DEA. That's down 7.1% from the previous year, down 25% from five years ago, and down 35% from 10 years ago. TRAC notes that the decline in convictions is the result of fewer referrals by the DEA, not a lowered conviction rate, which has held steady. Permission to Reprint: This article is licensed under a modified Creative Commons Attribution license . Looking for the easiest way to join the anti-drug war movement? You've found it !